BRUSSELS, 28 June 2018 – Financial crisis, the growth of digitisation, market changes, and a continuously increasing and complex EU regulatory regime have created new trends in banking sector employment. An overall shrinking financial services workforce, opportunities for older employees for a late career in the banking sector, a simultaneous significant decrease in hiring younger employees, and a majority of women employees in the EU banking industry, are the main conclusions of a new study from European banking industry social partners. The results of a new European Commission-funded report presented today for the first time at the European Sectoral Social Dialogue Committee in Banking, analyses data that show an upward shift in the average age and education level among bank employees since the 2007-2008 financial crisis. Hiring for people aged 55-plus swelled by 35%. Meantime, workers hired under the age of 24 decreased by 38%, while hiring for those aged 25-39 dropped 19%. The trend slowed in the 40 to 50 age category, down just 5%. Dr. Jens Thau, Chairman of the EBF-BCESA said: “The nature of the post-crisis job supply focus on high-skill labour is due to higher regulatory pressure. The trend is also caused by new technologies and regulation-driven business models and by stricter requirements on HR hiring procedures that make it more difficult to recruit early career workers. Competition from new players such as FinTechs compounds the pressure on hiring job seekers belonging to the younger age groups. The committee, comprised of European social partners EBF-BCESA, ESBG and EACB as employers’ associations along with trade unions body UNI Europa Finance, also invited stakeholders to join the meeting to learn from the EU-funded study project on the impact of banking regulation on employment. The study calculated a drop of 444,200 employees in the EU28 banking sector in 2016 than in 2007. During that time period, the number of employees per branch increased due to branch bank consolidation caused, in part, by EU financial policy decisions and market trends such as digitisation. To cope with the digital ‘New Normal’, financial institutions are adjusting their business models to reach closer proximity to customers while reworking their branch network. The study delves into the direct impact regulatory/supervisory policy has on banks’ hiring decisions. Qualitative information contained in the study, obtained from banking throughout the European Union, point to government austerity measures and constrained fiscal policy impacting employment policies. New and updated EU banking rules enacted since the financial crisis are also hitting both employers and employees alike. The social partners attribute the quick pace of rules being issued contributing to making compliance more difficult. Women continue to make up the majority of the EU banking industry, made up of 54% women, and as much as 70% in some Central and Eastern EU countries. Part-time contracts attract women, leading to a higher percentage of them taking banking jobs. Qualitative data show that can be attributed in part to the flexibility offered by the sector in part-time contracts. Though there is always room for improvement, the glass ceiling shows cracks, with a gradual rise in higher-level posts for women. International consultancy company Kantar was enlisted to carry out the data collection exercise, which aimed to gather statistical material on the banking industry such as data on the employment situation in the banking sector by country for the EU28. Data from 2016 was compared with 2013 and 2007, where available. 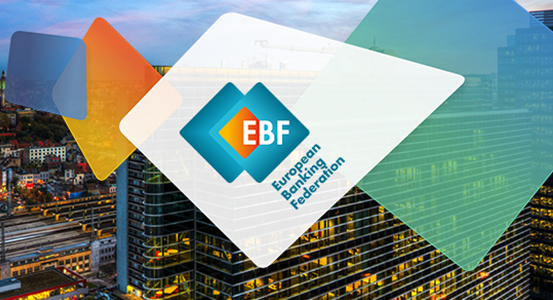 The EBF serves as the voice of the European banking sector, bringing together 32 national banking associations in Europe that together represent some 3,500 banks – large and small, wholesale and retail, local and international. 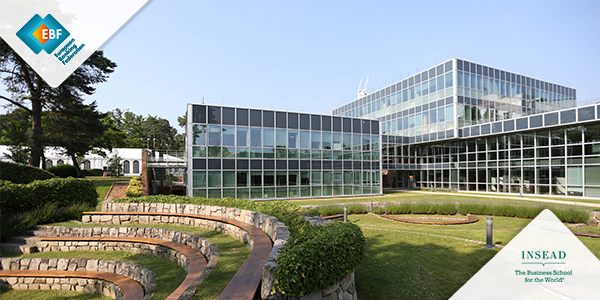 Launched in 1960, the EBF is committed to creating a single market for financial services in the European Union and to supporting policies that foster economic growth and help achieve a thriving European economy and flourishing society.